Due to our company's activity, we primarily handle data from legal entities, such as company name, form and contact information, and slightly affects the handling of personal data of natural persons, in which limited data management and storage is sought. Our data management policy can be found on each of our websites. It describes how we collect, use and process your personal data, and how we comply with our legal obligations to you. Your privacy is important to us, and we are committed to protecting and safeguarding your data privacy rights. For the purpose of applicable data protection legislation (including but not limited to the General Data Protection Regulation (Regulation (EU) 2016/679) (the "GDPR"), the company responsible for your personal data is the Hofmann Ltd. (tax number: 10677759-2-13, address: 2052 Budakeszi, Budaörsi út 11.) and all its divisions (M&A World Support Center, Tool and Machine, Rubber Workshop). Please note that we are operating an electronic monitoring system in our office. CANDIDATE DATA: We will only store your data in the CV and motivation letter provided by you until the position you are applying for is open. CLIENT DATA:If you are a Hofmann Ltd. customer, we need to collect and use information about you, or individuals at your organization and their contacts with the aim of making our service and the purchase fluently. SUPPLIER DATA:We need a small amount of information from our Suppliers to ensure that things run smoothly. We need contact details of relevant individuals at your organisation so that we can communicate with you. We also need other information such as your bank details so that we can pay for the services you provide (if this is part of the contractual arrangements between us). WEBSITE USERS: We collect a limited amount of data from our Website Users. The data given during the registration process are primarily used for your ordered services, purchasing and keeping contact. In addition, we collect information such as the way you use our website, the frequency of visits to our website and the times when our website is the most popular. EMPLOYEE DATA: HOFMANN LTD. is entitled to handle some personal data of persons employed by HOFMANN LTD.
Other person related to our company: For future cooperation, we collect a limited amount of data. Many personal data collected from you is required to fulfill our contractual obligations for you and others. Others may simply be needed to maintain a seamless relationship with you. Depending on the type of personal data involved and the reasons for handling the data, if you refuse to provide this information, we may not be able to meet the contractual terms that apply to you or, in extreme cases, we may not be able to maintain our relationship with you. Please scroll down to find out more about the legal basis for using and managing your personal information. From third parties and other limited sources (e.g. online and offline media). From third parties and other limited sources (e.g. online and offline). CANDIDATE DATA:The main reason for using your personal details is to help you find employment or other work roles that might be suitable for you. CLIENT DATA:The main reason for using information about Clients is to ensure that the contractual arrangements between us, the used service and the purchase can properly be implemented so that the relationship can run smoothly. WEBSITE USERS:We use your data to help us to improve your experience of using our website, for example by analysing your recent search criteria to help us to present offers to you that we think you'll be interested in. If you are also a Supplier, Partner or Client of Hofmann Ltd., we may use data from your use of our websites to enhance other aspects of our communications with, or service to, you. EMPLOYEES: We only use the necessary data for your employment. OTHER PERSON RELATED TO OUR COMPANY: We may use personal information for activities, such as marketing research, profiling, and communication, in accordance with local laws and requirements. If necessary, we will ask for your permission for such activities. CANDIDATE DATA:Unless otherwise provided, we can share your personal information with our colleagues, who are responsible for personal matters. CLIENT DATA:We can share your information to the aim of service delivery and purchase. Unless you specify otherwise, we may share your information with any of our divisions and associated third parties such as our service providers and organisations to whom we provide services. SUPPLIER DATA:Unless you specify otherwise, we may share your information with any of our divisions and associated third parties such as our service providers and organisations to whom we provide services. OTHER PERSON RELATED TO OUR COMPANY: Unless you specify otherwise, we may share your information with any of our divisions and associated third parties such as our service providers and organisations to whom we provide services. WEBSITE USERS: Unless you specify otherwise, we may share your information with any of our divisions and associated third parties such as our service providers and organisations to whom we provide services and providers of web analytics services, marketing automation platforms and social media services to make sure any advertising you receive is targeted to you. For more information on the procedures we put in place, please roll down. For more information on our policy for the retention of personal data, please roll down. Right to object:If we are using your data because we deem it necessary for our legitimate interests to do so, and you do not agree, you have the right to object. We will respond to your request within 30 days (although we may be allowed to extend this period in certain cases). Generally, we will only disagree with you if certain limited conditions apply. Right to erasure:In certain situations (for example, where we have processed your data unlawfully), you have the right to request us to "erase" your personal data. We will respond to your request within 30 days (although we may be allowed to extend this period in certain cases) and will only disagree with you if certain limited conditions apply. If we do agree to your request, we will Delete your data but will generally assume that you would prefer us to keep a note of your name on our register of individuals who would prefer not to be contacted. That way, we will minimise the chances of you being contacted in the future where your data are collected in unconnected circumstances. If you would prefer us not to do this, you are free to say so. Right to lodge a complaint with a supervisory authority:You also have the right to lodge a complaint with your local supervisory authority, details of which can be found bellow. If your interests or requirements change, you can unsubscribe from part or all of our marketing content by clicking the unsubscribe link in the email, or by updating your preferences through our preference centre on the Hofmann Ltd. website (by signing into your account or entering your email address). If you would like to know more about your rights in respect of the personal data we hold about you, please roll down. Hofmann Ltd. is active globally– this is what enables us to offer the level of services that we do. In order for us to continue operating in this way, we may have to transfer or store your data internationally. For more information on the steps we take when we transfer and store your data internationally, please roll down. Who is responsible for processing your personal data on the Hofmann Ltd. website? Hofmann Ltd. controls the processing of personal data on its website(s). If you've got any further questions, or want further details, please roll down. If you want to find out more about cookies, including how we use them and what choices are available, please roll down. - Information on your interests and needs regarding future employment, both collected directly and inferred. wages and salaries and their entitlements paid by the employer, debts owed to the employer and their rights. CLIENT DATA:The data we collect about Clients is actually very limited. We generally only need to have your contact details or the details of individual contacts at your organisation (such as their names, telephone numbers and email addresses, license plate number, mileage) to enable us to ensure that our relationship runs smoothly. We also hold information relating to your online engagement and other material published by Hofmann Ltd., which we use to ensure that our marketing communications to you are relevant and timely. We may also hold extra information that someone in your organisation has chosen to tell us. In certain circumstances, such as when you engage with our Finance and Debt Recovery teams, our calls with you may be recorded, depending on the applicable local laws and requirements. If we need any additional personal data for any reason, we will let you know. SUPPLIER DATA:We don't collect much data about Suppliers – we simply need to make sure that our relationship runs smoothly. We'll collect the details for our contacts within your organisation, such as names, telephone numbers and email addresses. We'll also collect bank details, so that we can pay you. We may also hold extra information that someone in your organisation has chosen to tell us. In certain circumstances, such as when you engage with our Finance and Debt Recovery teams, our calls with you may be recorded, depending on the applicable local laws and requirements. OTHER PERSON RELATED TO OUR COMPANY: We collect and store their data very limited. These are primarily information related to legal persons: company name, financial data, availability, and in addition the name and contact details of the given contact. The source of data can be online and offline media, purchased database and published data. WEBSITE USERSWe collect a limited amount of data from our Website Users which we use to help us to improve your experience when using our website and to help us manage the services we provide. This includes information such as how you use our website, the frequency with which you access our website, your browser type, the location you view our website from, the language you choose to view it in and the times that our website is most popular. If you contact us via the website, for example registration or massage sending, we will collect any information that you provide to us, for example your name and contact details. - Other limited resources and third parties. When you visit our website there is certain information that we may automatically collect, whether or not you decide to use our services. This includes your IP address, the date and the times and frequency with which you access the website and the way you browse its content. We will also collect data from you when you contact us via the website, for example sending message or registration. - provide you with information about certain discounts and offers that you are eligible for by virtue of your relationship with Hofmann Ltd.
- Send an automatic or manual notification of hits relevant to your interests. Tacit consent is a special type of contribution that applies if you have already contacted us. With tacit consent we will give you your consent if and until you unsubscribe. For most people, this is beneficial, as it allows us to send other bids along with the specific one. If you are not happy about our approach to marketing, you have the right to withdraw your consent at any time and can find out more about how to do so Nobody's perfect, even though we try to be. We want to let you know that even if you have opted out from our marketing communications through our preference centre, it is possible that your details may be recaptured through public sources in an unconnected marketing campaign. We will try to make sure this doesn't happen, but if it does, we're sorry. We'd just ask that in those circumstances you opt out again. All our marketing is based on what we think will serve our Clients and Partners best, but we know we won’t always get it right for everyone. In less common cases, we may use your personal information to disclose, enforce, or protect legal claims. Although at present all our activities involve human-decision making during the process, we use automated technologies. If you do not agree to profiling, please contact one of our contact form. - Third party partners and partner institutions working together. 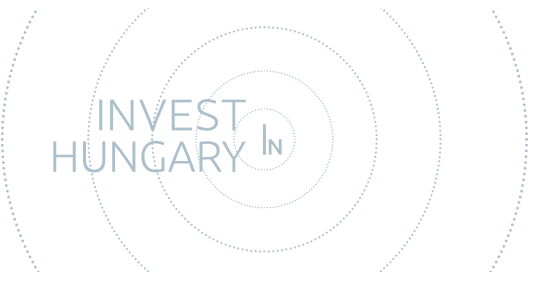 (such as the National Investment Agency address: Budapest, Honvéd street 20, 1055, tax number: 15789192241 and other consultants). - If Hofmann Ltd. merges with or is acquired by another business or company in the future, (or is in meaningful discussions about such a possibility) we may share your personal data with the (prospective) new owners of the business or company. - In addition, we can share your information with our inquirers and customers following a separate agreement. If you suspect any misuse or loss of or unauthorised access to your personal information please let us know immediately. Details of how to contact us can be found bellow. When we refer to "meaningful contact", we mean, for example, communication between us (either verbal or written), or where you are engaging with our online services. Right to object:this right enables you to object to us processing your personal data where we do so for one of the following four reasons: (i) our legitimate interests; (ii) to enable us to perform a task in the public interest or exercise official authority; (iii) to send you direct marketing materials; and (iv) for scientific, historical, research, or statistical purposes. Data Subject Access Requests (DSAR):You may ask us to confirm what information we hold about you at any time, and request us to modify, update or Delete such information. We may ask you to verify your identity and for more information about your request. If we provide you with access to the information we hold about you, we will not charge you for this unless your request is "manifestly unfounded or excessive". If you request further copies of this information from us, we may charge you a reasonable administrative cost where legally permissible. Where we are legally permitted to do so, we may refuse your request. If we refuse your request we will always tell you the reasons for doing so. Please note that in certain of the jurisdictions in which we operate, we comply with additional local law requirements regarding data subject access requests and may refuse your request in accordance with such laws. For more information in relation to your jurisdiction. Right of data portability:If you wish, you have the right to transfer your personal data between data controllers. In effect, this means that you are able to transfer your Hofmann Ltd. account details to another online platform. To allow you to do so, we will provide you with your data in a commonly used machine-readable format that is password-protected so that you can transfer the data to another online platform. Alternatively, we may directly transfer the data for you. This right of data portability applies to: (i) personal data that we process automatically (i.e. without any human intervention); (ii) personal data provided by you; and (iii) personal data that we process based on your consent or in order to fulfil a contract. If you would like to exercise any of these rights, or withdraw your consent to the processing of your personal data (where consent is our legal basis for processing your personal data), details of how to contact us can be found down. Please note that we may keep a record of your communications to help us resolve any issues which you raise. Hofmann Ltd. is responsible for handling your personal data. You will find more detailed information below. - when you have consented to the data transfer. Cookies are used by nearly all websites and do not harm your system. If you want to check or change what types of cookies you accept, this can usually be altered within your browser settings. We also provide information about this in our Marketing preferences page on the Hofmann Ltd. website. - to help us advertise opportunities to you that we think you'll be interested in. Hopefully this means less time for you trawling through endless pages and will get you into the employment you want more quickly. - Strictly necessary cookies: These cookies are essential to enable you to use the website effectively. Without these cookies, the services available to you on our website cannot be provided. These cookies do not gather information about you that could be used for marketing or remembering where you have been on the internet. - Personalisation cookies: These cookies help us to advertise details of potential opportunities that we think may be of interest. These cookies are persistent (for as long as you are registered with us) and mean that when you log in or return to the website, you may see advertising for opportunities that are similar to that you have previously browsed. We don't think that any of the following activities prejudice individuals in any way – in fact, they help us to offer you a more tailored, efficient service, so everyone's a winner! However, you do have the right to object to us processing your personal data on this basis. If you would like to know more about how to do so, please roll down. Please note that in certain of the jurisdictions in which we operate, a different legal basis for data processing might apply in certain cases. For more information in relation to your jurisdiction, please roll down. Please note that in certain of the jurisdictions in which we operate, we comply with additional local law requirements regarding consenting to receive marketing materials. For more information in relation to your jurisdiction. As we have mentioned, you have the right to withdraw your consent to these activities. You can do so at any time, and details of how to do so can be found bellow. No sensitive personal information is stored. Hofmann Ltd. entity responsible for processing the personal data of Website Users: Hofmann Ltd. The Hofmann Ltd. entity responsible for processing the personal data of Candidates, Clients, Suppliers, Partners and other person related our company and and Hofmann Ltd.' Staff will depend on which of the below companies is the counterparty associated with the relevant arrangement. You can write to us at the following address: 2092 Budakeszi Budaörsi út 11. You can do this by updating your profile on one of our website. Post: H-1125 Budapest, Szilágyi Erzsébet fasor 22/C. We signed up for the National Data Protection and Freedom Authority on 25 April 2018 by submitting the following forms. Candidates – including persons applying for employment at Hofmann Ltd. including permanent, part-time and temporary posts and freelance jobs. Clients- while it speaks for itself, this category covers our customers, clients, and others to whom Hofmann Ltd. provides services or sell goods in the course of its business. Delete– while we will endeavour to permanently erase your personal data once it reaches the end of its retention period or where we receive a valid request from you to do so, some of your data may still exist within our systems, for example if it is waiting to be overwritten. For our purposes, this data has been put beyond use, meaning that, while it still exists on an archive system, this cannot be readily accessed by any of our operational systems, processes or Employees. General Data Protection Regulation (GDPR)– a European Union statutory instrument which aims to harmonise European data protection laws. It has an effective date of 25 May 2018, and any references to it should be construed accordingly to include any national legislation implementing it. Employees – this means employees and trainees who are directly involved in the business of Hofmann Ltd. (or who have already accepted an offer of this kind) and includes some other staff who provide services to Hofmann Ltd. (although they are not considered employees ). Suppliers– refers to partnerships and companies (including sole traders), and atypical workers such as independent contractors and freelance workers, who provide services to Hofmann Ltd.
Website Users - any individual who accesses any of the Hofmann Ltd. websites.